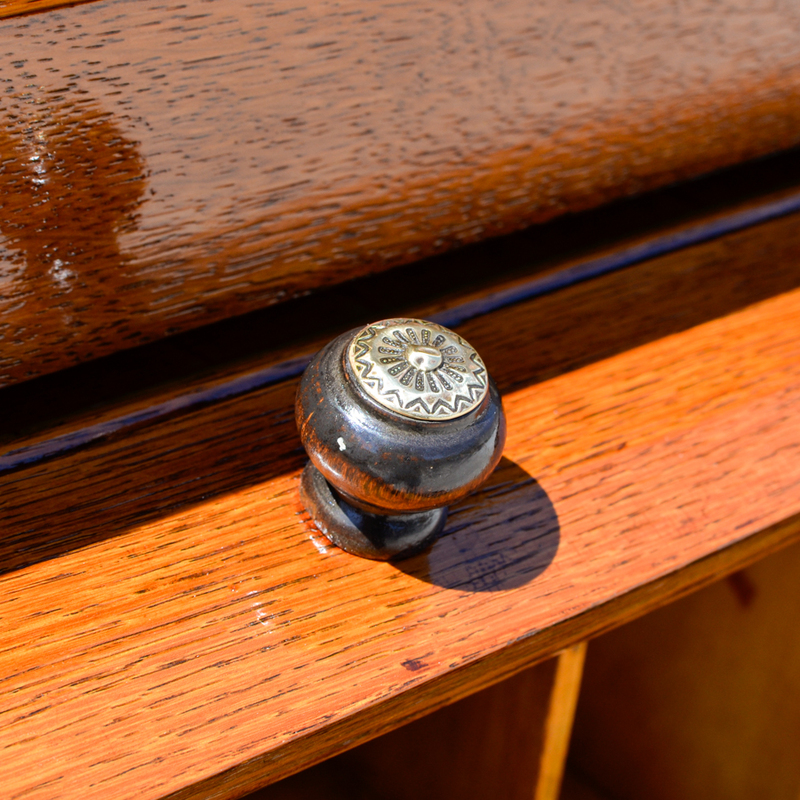 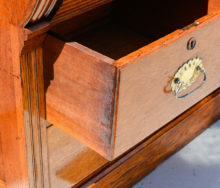 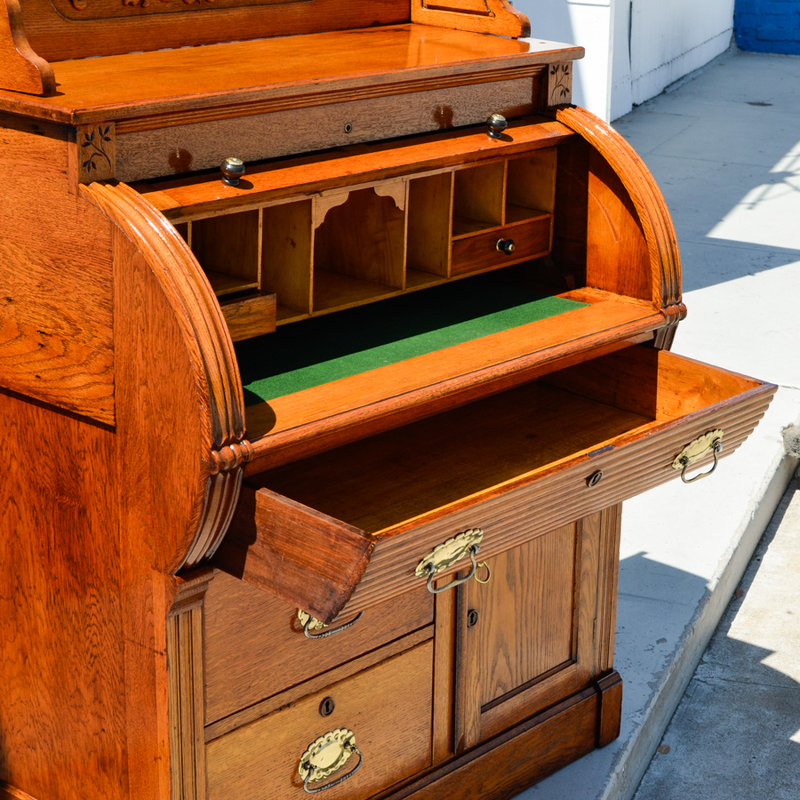 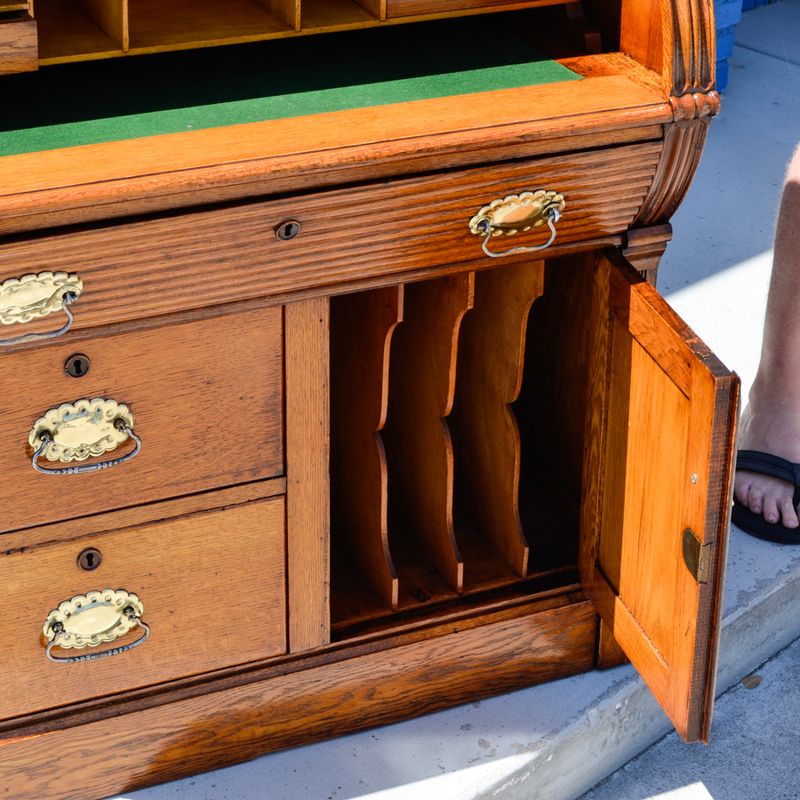 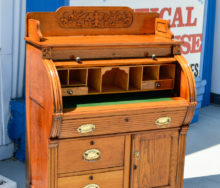 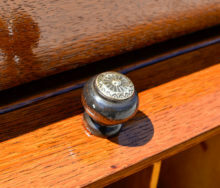 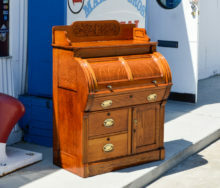 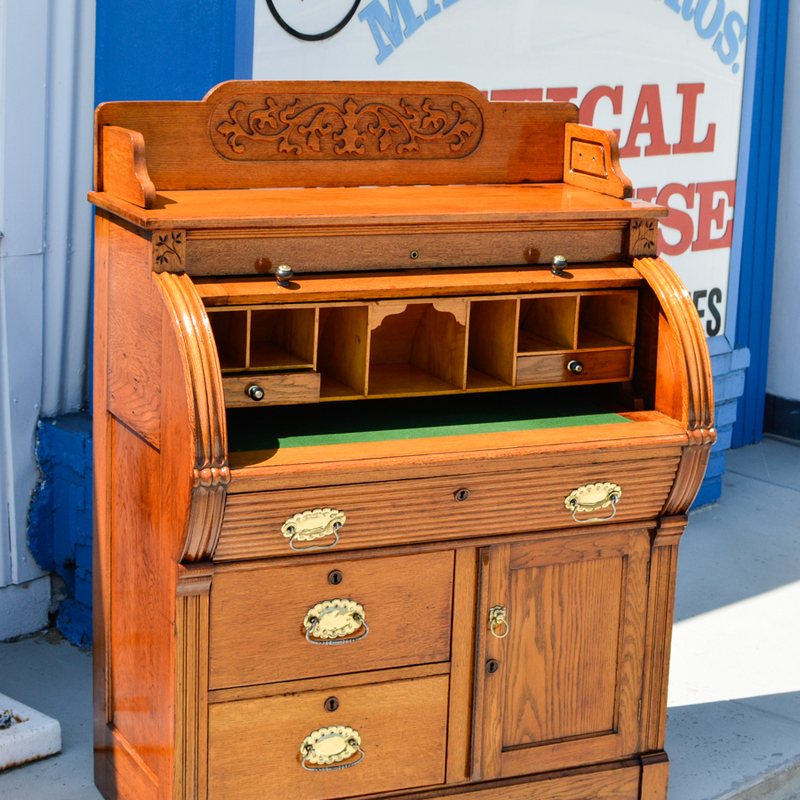 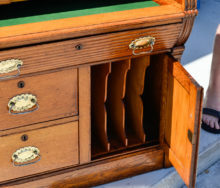 Behold a true barrel top Captains Desk salvaged from a US Navy submarine captains cabin. 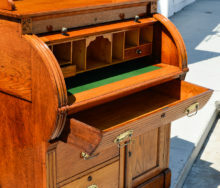 I was told this desk was once aboard a large schooner the name of which the captain could not recall as he was staggering and mumbling as he was 3 sheets to the wind as we removed this show piece from his abode.. 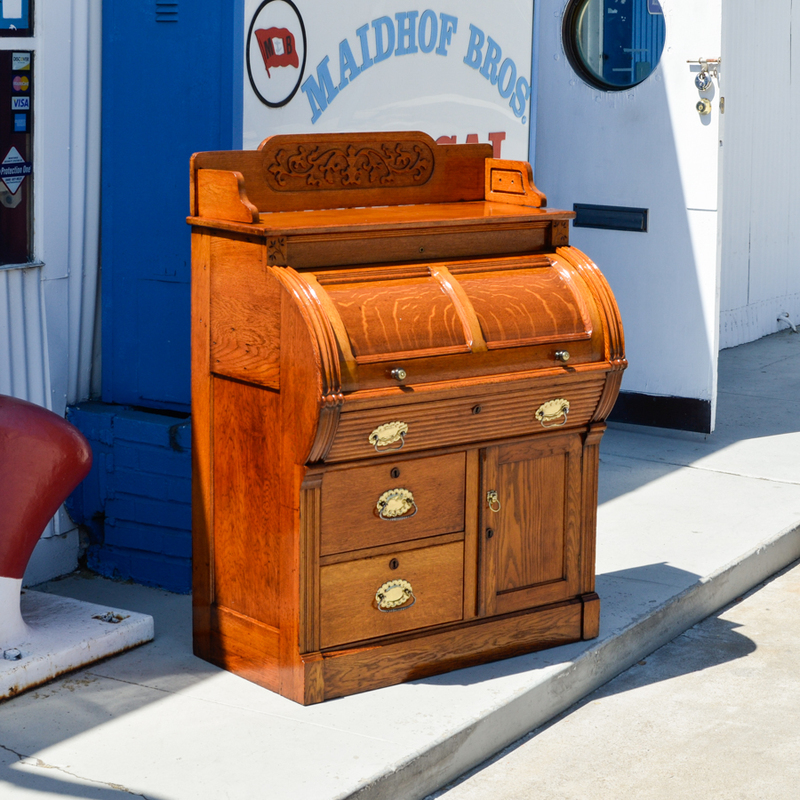 I found letters and photos from fair maidens he would write to from sea.. We also removed the smell of spilt liquor the best we could… This showpiece is in ship shape condition after going through rehab at the Maidhof Bros. headquarters.. 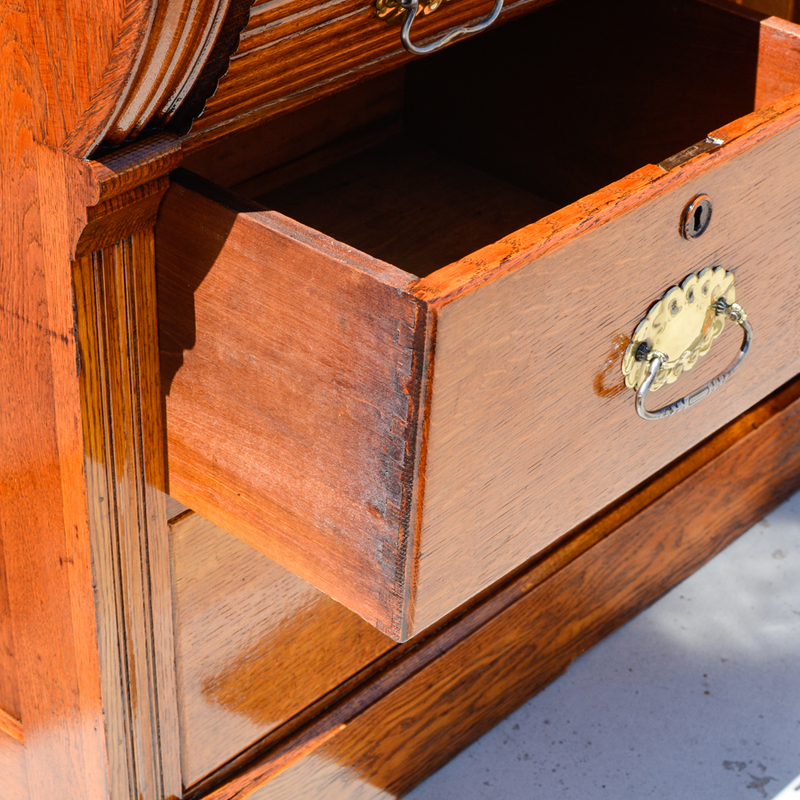 Measuring 50 and 1/2 inches tall overall and 37.5 inches wide as well as 22 inches deep. 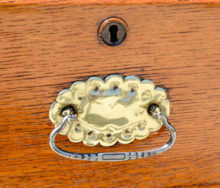 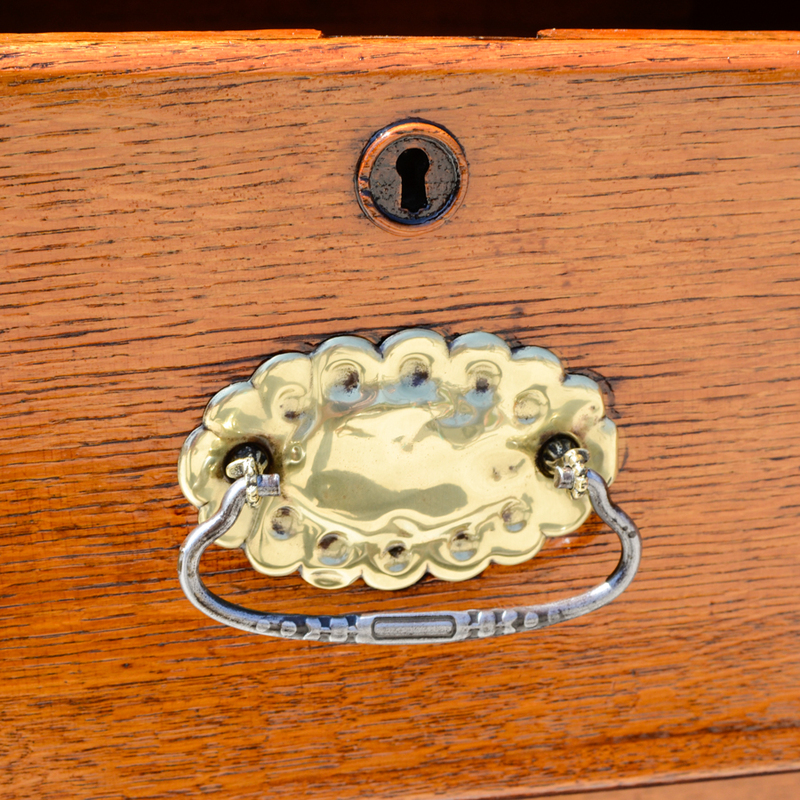 Made of solid white oak and brass hardware.